Happy Wednesday! 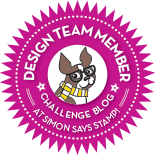 Welcome to another challenge at the Simon Says Stamp Wednesday blog! It's the last week of the month, so that means it's Anything Goes! My teamies and I are playing with Avery Elle products this week, and if you have anything of their's, we'd love to see you using them too! I love wreaths, and have had this Banner & Wreath set on my wishlist, so I was thrilled to be able to get it and use it for this challenge. 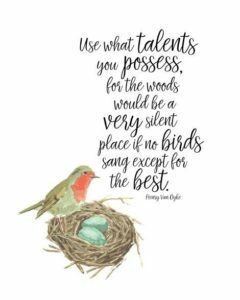 The little birds that are included were a real plus for me! I decided to use seasonal colors, as fall has been calling to me these last hot days of August. This set has the perfect sized wreath, and lots and lots of floral sprigs - I only used one of them, along with the birds and 1 of the sentiments in this set. There are matching dies, but I enjoyed fussy-cutting these out myself. I white embossed my flower sprays, colored them in with a bit of water, and fussy-cut around their inside edges, leaving the corners of each piece intact. Then I watercolored the outside edges of each panel. I did the same for the card base before stamping and white embossing the sentiment. To finish, the panels were popped above the card base, and I sprinkled some sequins. 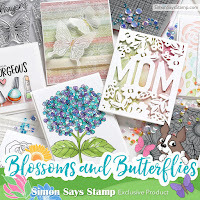 Tomorrow begins a month-long celebration of stamping called STAMPtember, at Simon Says Stamp! 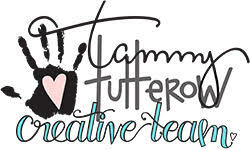 I am right there with you in counting down the hours until the new products will be released! I'll see you there! 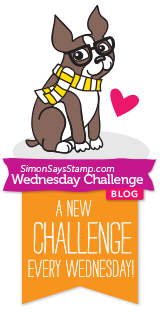 I hope to see you again on Wednesday with my Anything Goes cards for the Simon Says Stamp Wednesday challenge! I love these kinds of sketches, because it means I can use some of my collection of design papers! 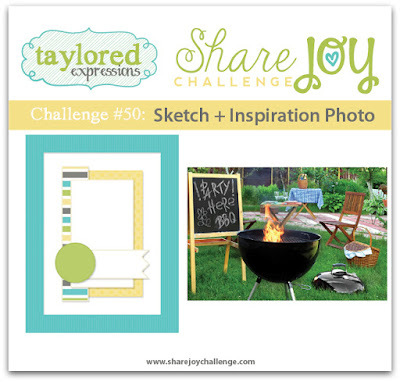 Here's our inspiration - you can use either the sketch or the photo inspiration, or both. When I finally was able to get this Harvest Mouse set last year, it was way beyond the season, and though I adapted it for some Valentines for my Grands, it has been waiting until now to get used again. The current My Favorite Things sketch challenge gave me just the start I needed! I had a fun afternoon yesterday playing with these adorable little guys......you'll be seeing a few more cards using them soon! 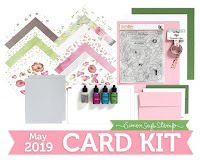 I just recently treated myself to this Concord & 9th Layers of Love die set. I have always been drawn to hearts and so this 3-piece set just had to come home with me. I made 3 cards. I don't think I've seen anyone use this set yet with printed papers, so that's where I started. I love this little pink, green, and brown number, and it had flowers and dots, too, so that was my choice. The white panel was popped above the card, and I added the flower sprig to the top, along with a couple pearls. Next, I wanted to use something besides white for the floral heart, so I chose a piece of Watercolor Wash design paper from My Favorite Things. This card is completely flat for easier mailing. I die-cut my sentiment into the top layer, and saved the negative parts to add after the top white layer was attached to the aqua 2nd layer. 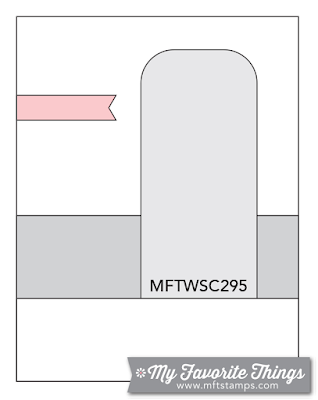 The 3rd layer is the white card base. I've always been a late bloomer, so I'm late as usual to this Layers of Love party, but I know this will get lots of use all throughout the year, not just for Valentine's Day! I have a couple of cards for you today that I made using the Simon Says Stamp September Card Kit. Simon Says.........It's Hip to be Square! Welcome to another challenge! This week we have a fun theme for you, called "It's Hip to be Square"! 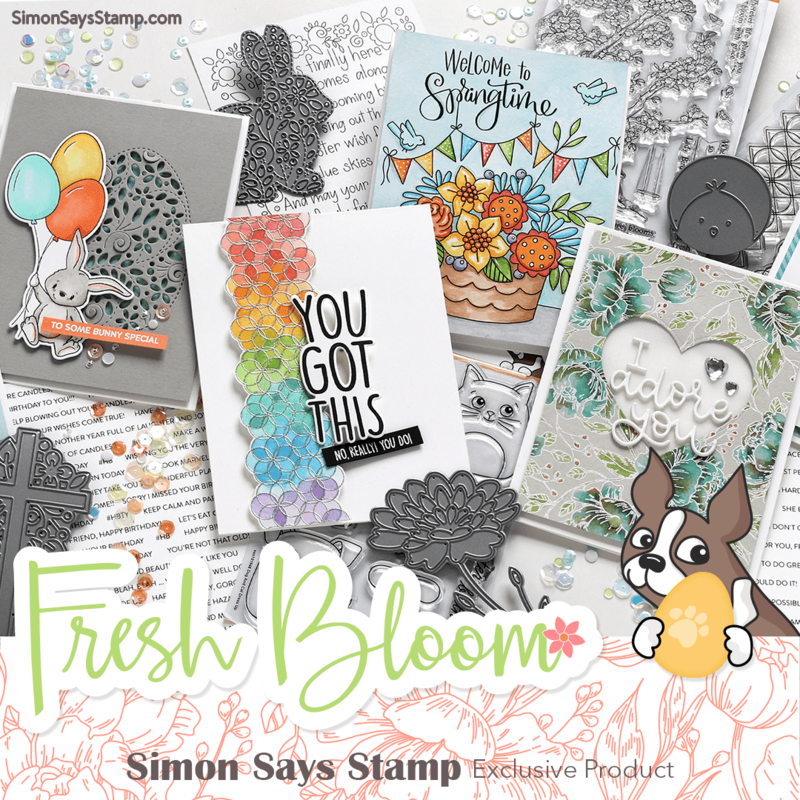 My teamies and I are using Simon Says Stamp exclusive products, and we'd love to see you using yours, too! 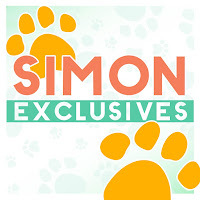 I used this theme as an excuse to get myself a couple of Simon products that I've had on my wishlist for awhile. And, as it turns out, both of my cards use a favorite element, the scribble flower, as a main ingredient. First up, I made a square card, and my square element is the gingham stencil pattern. I have been eternally in love with all things gingham, so I was thrilled to be able to get this stencil for my stash! 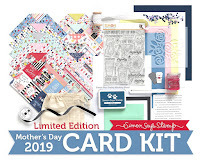 Next is a card using square tiles as my required element; they're another item from my wishlist - I love the idea that now I can make whatever sentiment I want on my cards! I really like the addition of the blue background to the purples and greens! Since this flourish is so ornate, I wanted to do something with a vintage feel, and so I chose this scripty text paper as my background, and then my favorite color to complete the design. I simply die-cut the doily and trimmed it into a rectangular panel, then lined and framed it before popping it above my card base. I covered a panel with autumnal distress inks, then spritzed it with a mixture of Perfect Pearls and water to give it a little shimmer. Then I die-cut a scalloped panel, and from that, the Tim Holtz die. I used the same distress inks, watered down, to splatter that panel. The sentiment is made up of a long-discontinued autumn stamp set from JoAnn, along with another Tim Holtz sentiment die, this one from a Holiday set. The current Altenew Inspiration challenge has evidently been in the back of my mind, because I woke up yesterday morning, and made another card for it. This time I used more of the greys, in ombre style, and because of that, the flowers pop more on this card......I also toned down the deeper cranberry from my last card to a brighter pink. 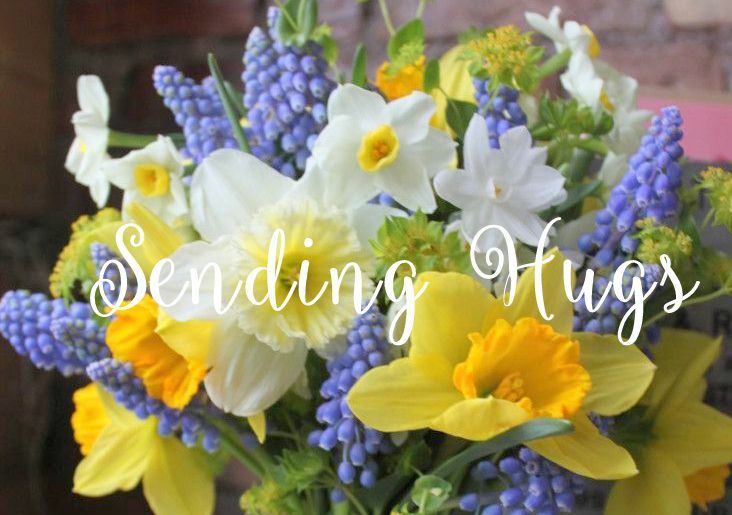 Thanks for stopping by today - hope you're enjoying your Sunday! I simply stamped the sentiment, then masked it off and stamped the heart-shaped leaves. After trimming the panel, I die cut a line of dots, and also a few of the matching leaf dies and then glued everything together. I was first drawn to these sets because of this heart-shaped leaf, so here's another go with it. I started by trimming out a piece of cardstock just a tad smaller than my card front. 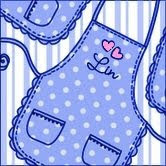 Next I stamped my sentiments using my Mini Misti. Then I die-cut the leaves going diagonally across my card, and after removing the leaves from the panel, I splattered some distress inks lightly across it. Next the stamped panel was laid over my card front and I lightly traced the areas where the leaves would be, then removed the panel and stamped the heart from the stamp set in those areas, using a multi-color stamp pad in fall tones. (I also masked the top left and bottom right areas on the card front so that the stamping ended at the same place as my die-cut panel would.) Then I carefully adhered the leaf cuts back into the panel, added some foam squares on the back to lift it, and affixed it to the card front. My last step was sprinkling some matching sequins. My last card uses the other 2 leaf dies. One of them looks like wheat to me, so I ran with that idea, and made a more neutral card. These 2 sets are wonderful on their own, but I highly recommend that you get the stamps and dies both! I have really become addicted to multi-step stamping - the results are so much nicer than my own coloring of a stamp. And this Painted Flowers set has become a favorite and go-to of mine. Be sure to visit Altenew to see the other gorgeous entries for this month's challenge! Simon Says........Make for the Border! Our theme this week is "Make for the Border"! You can interpret that any way you'd like - I'll bet we'll have some fun and unique entries this week! The Design Team are working with Memory Box products. If you have any of their products, we'd love to see you using them, too! When I hear "border", I think garden border, so I made you a card full of delphiniums. They come in the most luscious blues and purples, even some pinks and whites, and because they can get to 6' or so, they put on a real show in a garden! I used some coordinating stencils to make my border. First I cut my stitched rectangle, then used my stencils with markers to make my delphinium border, moving them around to get a good full panel of them. Then I die-cut the big happy from my panel, and cut it a 2nd time from adhesive foam, and put the stamped one on top. I stamped my birthday sentiment, and then fit in my die-cut in it's place, framed the whole panel, and affixed it to my card base. supplies: white, black, and Audrey Blue cardstock, Memory Box Hibiscus Flower die, DieNamics Layered Leaves die, distress inks to sponge, Taylored Expressions Leafy Vine embossing folder, Simon Sunshine die, hello from Winnie & Walter The Big, the Bold, and the Happy, sequins to match flowers. I started by cutting out two 5" X 1 3/4" strips of white cardstock, then rounded all the corners and punched holes at the tops. Then I embossed the little flowers on the top one. Separately on Bristol paper I stamped, white embossed, and watercolored the flowers and leaves, and then glued them onto the embossed panel. This is just the right size for a bookmark! 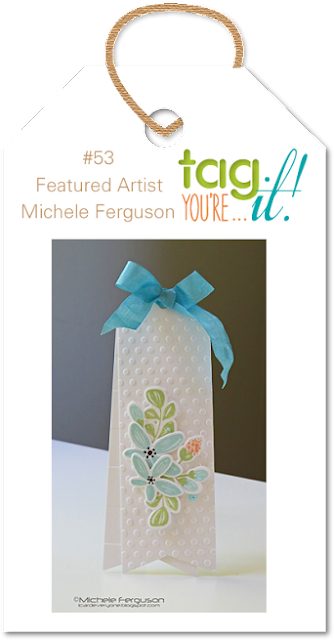 You still have a week to play - hurry on over to the Tag You're It! challenge, and see what the designers did! This week our theme is "Let's Go Wild! ", and the Design Team are all playing with Wplus9 products. You don't have to use them to play with us, but if you have some, we'd love to see them being used. First I smooshed my background, using some brighter distress inks, and when it was dry, I trimmed it using the Stitched Rectangle die and stamped my sentiment. Next I stamped and watercolored the animals and birds, cut them out, and then glued them to my background. And don't forget about our Kid's Challenge running all this month! Guest Designing at Tag Your'e It!